Dreaming of your very own backyard escape? 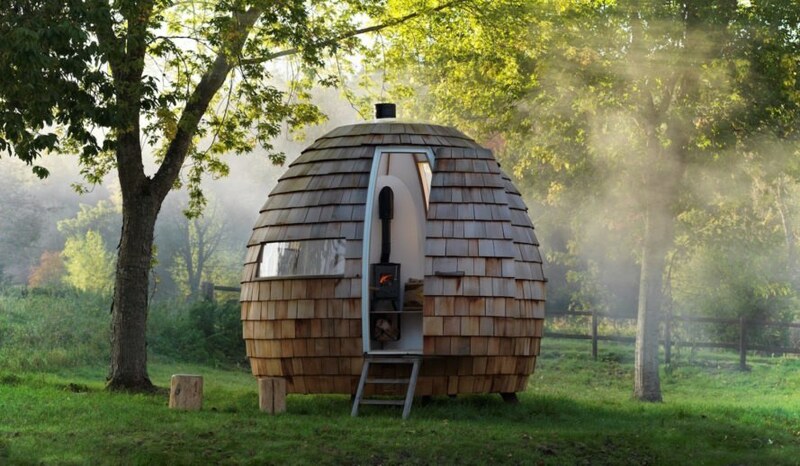 The cozy Escape Pod may be just what you’re looking for. 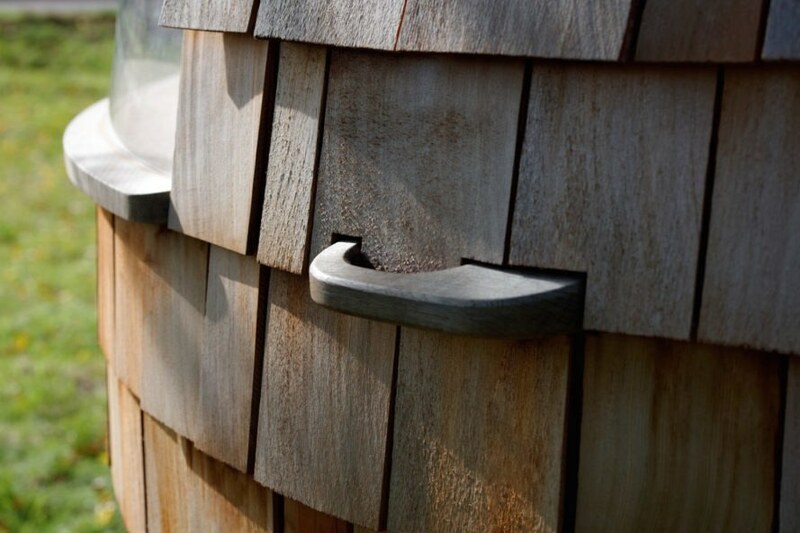 UK-based firm Podmakers designed and crafted the Escape Pod, a cedar shingle-clad prefabricated unit that can be tailored to suit a variety of uses, including garden room and writer’s studio. 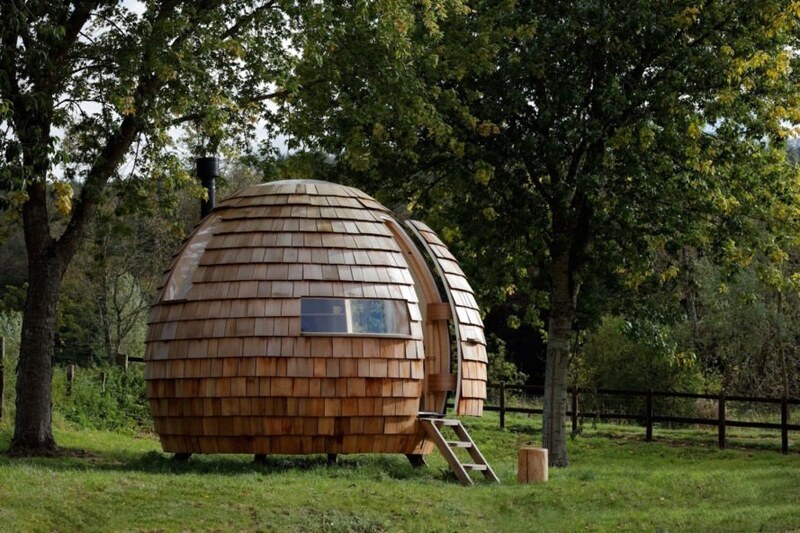 The spherical unit takes inspiration from nature, from its round organic shape to the extensive use of timber inside and out. The base price for the Escape Pod starts at £19,800. 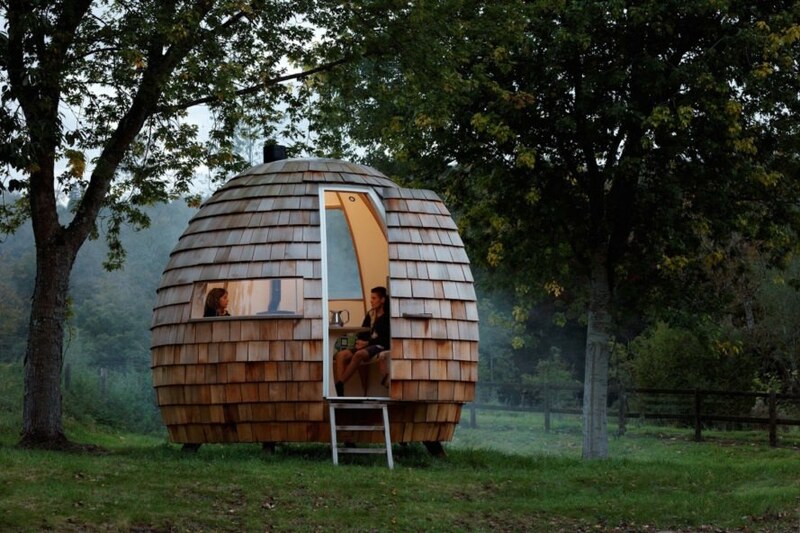 Podmakers developed four recommended layouts—garden room, office, snug (bedroom), and work studio—however the pod can be customized to meet different needs. 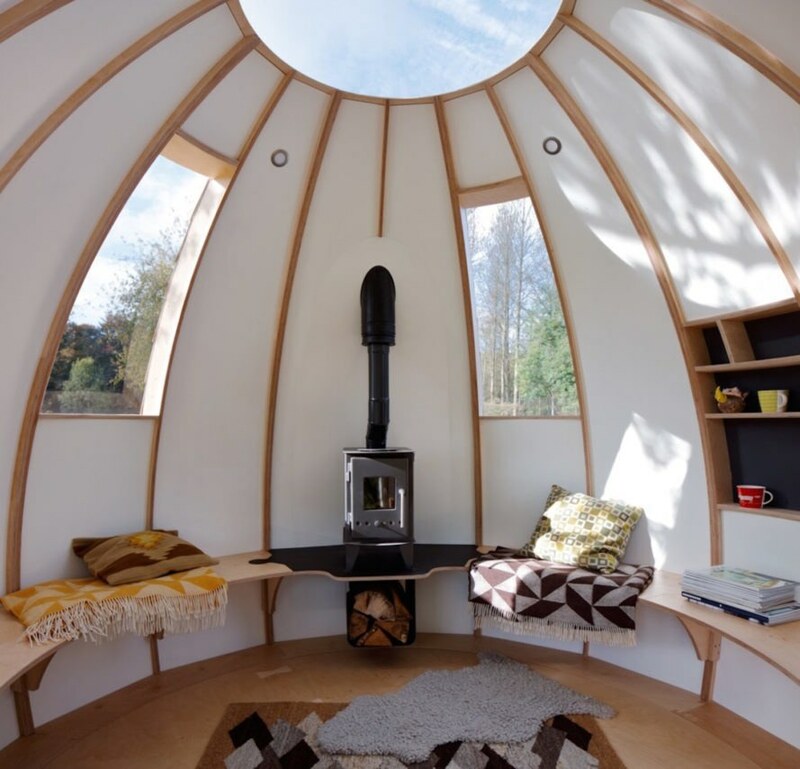 Designed to meet local UK planning laws, each 7-square-meter Escape Pod is built offsite in a Gloucestershire workshop and then delivered and installed using a forklift or crane. The pod is elevated half a meter off the ground and can be rotated to optimize natural light and views through European Oak-framed windows. An aircraft-style plug door opens up to a snug adaptable interior outfitted with insulation, electrical wiring, and heating (choice of a wood-burning stove or underfloor heating). The base price for the Escape Pod starts at £19,800. 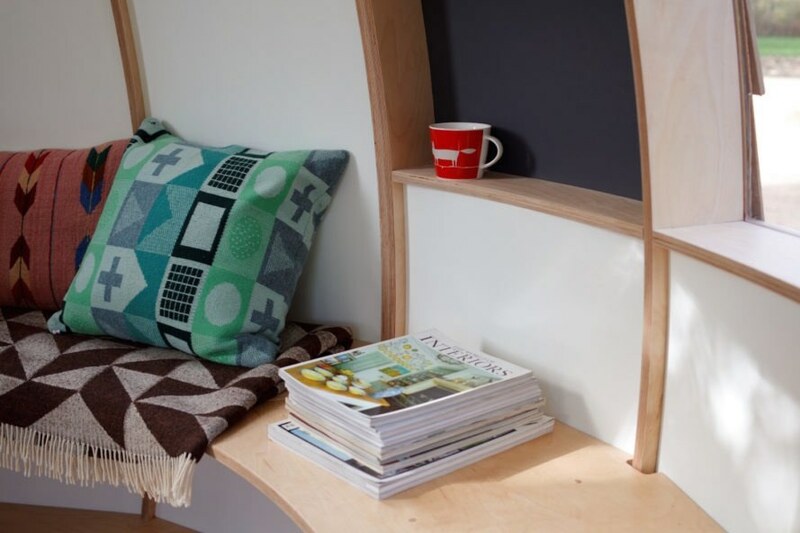 Podmakers developed four recommended layouts—garden room, office, snug (bedroom), and work studio—however the pod can be customized to meet different needs.